Professor Alex Faria was born in Rio de Janeiro, Brazil and is a Black Belt under Superstar and IBJJF 10 time winner Roger Gracie. He started training Brazilian Jiu-Jitsu in 1992 at Escola de Jiu Jitsu Leão Teixeira a prime BJJ academy in Rio de Janeiro.,under Jose Henrique Leao Teixeira aka ‘Ze Beleza’, who is one of the original founders of Gracie Barra alongside Carlos, Rilion and Crolin Gracie. Several students in this academy would become major stars in the grappling world, such as Ralph Gracie, Marcio Feitosa, Rafael Correia, Cachorrinho and many more. Alex earned his Blue Belt (1992) thru Brown Belt(2001) under Ze Beleza. Professor Alex then moved to London and received his black belt from Roger Gracie in 2009. Professor Alex trained at the Roger Gracie Academy in London for 8 years, becoming his Head Instructor for the last few years. Both Roger Gracie and his father Mauricio Motta Gomes, (one of only 6 of legendary Rolls black belts) mentored and trained Alex. Some of Alex’s training partners were among great current BJJ competitors such as Luciano Lagarto, Gustavo Pires ‘Siri’, and Braulio Estima, during visits to the world renown Roger Gracie academy. Looking for a change of climate, Professor Alex came to the US. Professor Alex Faria is an IBJJF referee, and knows the competition sport in great detail. He is also true to the Gracie Jiu-Jitsu roots and teaches both Self Defense standup and ground techniques. 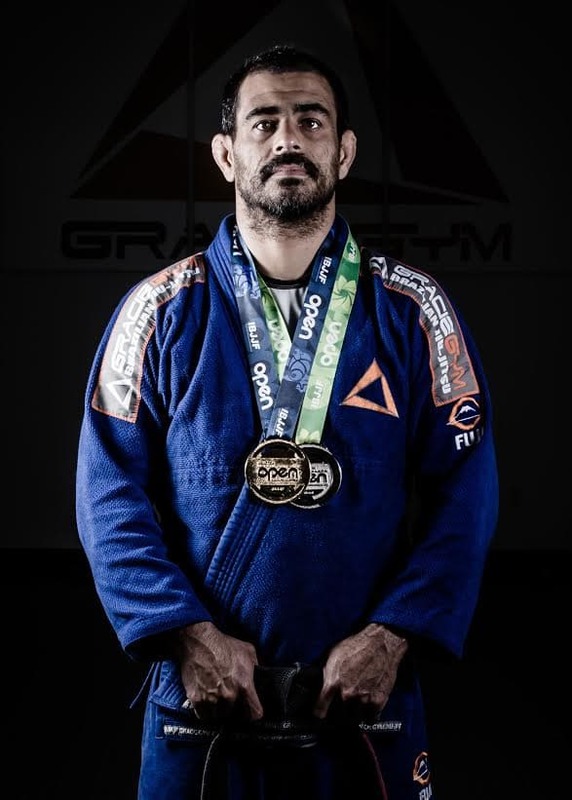 Professor is a great competitor, and has earned several medals in 2015 alone, including a Gold Medal and a Bronze in the IBJJF Houston OPEN, and a Silver medal in IBJJF Boston OPEN.